The Future TX5 is modern Swiss engineering at its most sophisticated. Years of refinement in process and construction, is the latest embodiment of European quality. 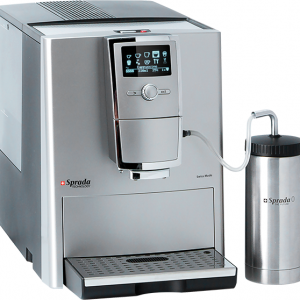 The alpha-numeric cascaded menu display, simplifies the brewing of 8 programmable coffee specialities and the advanced self-cleaning milk system is ideal for African conditions where higher ambient temperatures make milk system cleaning an imperative. The Zero watt power off design is the ultimate in engineering efficiency and the ultra-quiet grinder sees the gently tapered design blend unobtrusively into the ambience of modern home. Made in Switzerland according to stringent European standards – the TX5, the first choice. 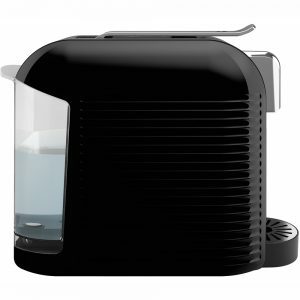 Tags: Coffee Machine, Future, Future TX5. 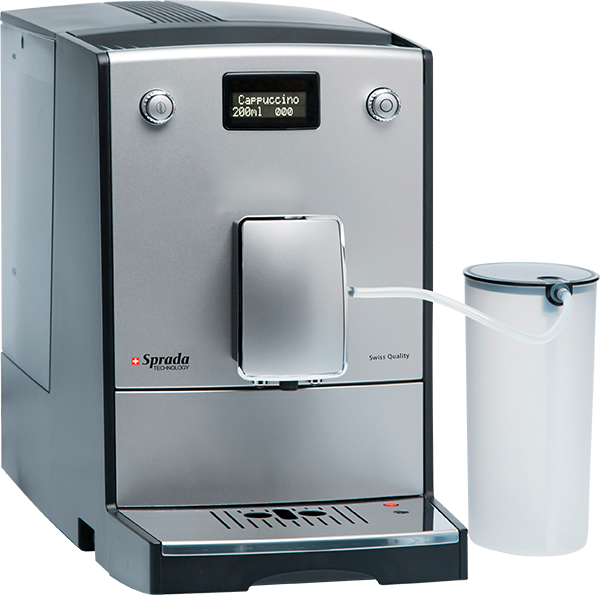 One-Touch preparation of 5 coffee/milk based drinks (including “my coffee”), manual or instant programming of coffee recipes, advanced self-cleaning milk system, programmable volume (max. 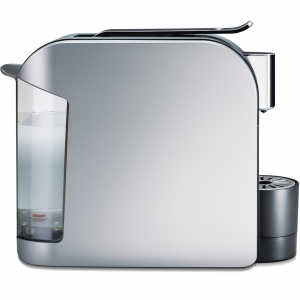 volume dependant on drink selection), 5-step strength and 3-step temperature settings, two cup functionality(double press), height adjustable spout (80-135mm), 220g dual-seal coffee bean hopper with finger protection, ultra quiet grinder with grind coarseness adjustment, single-dose ground coffee chute, hot water facility, passively heated cup warmer, easy removable 2.2 litre water tank with filter option, cleaning and descaling alerts, removable brewing unit for easy cleaning, 15 bar high pressure industrial-grade performance, auto stand-by/off mode for energy efficiency, zero watt power-off design, digital LCD display, cable storage, wheels at back, milk container (850ml) included.